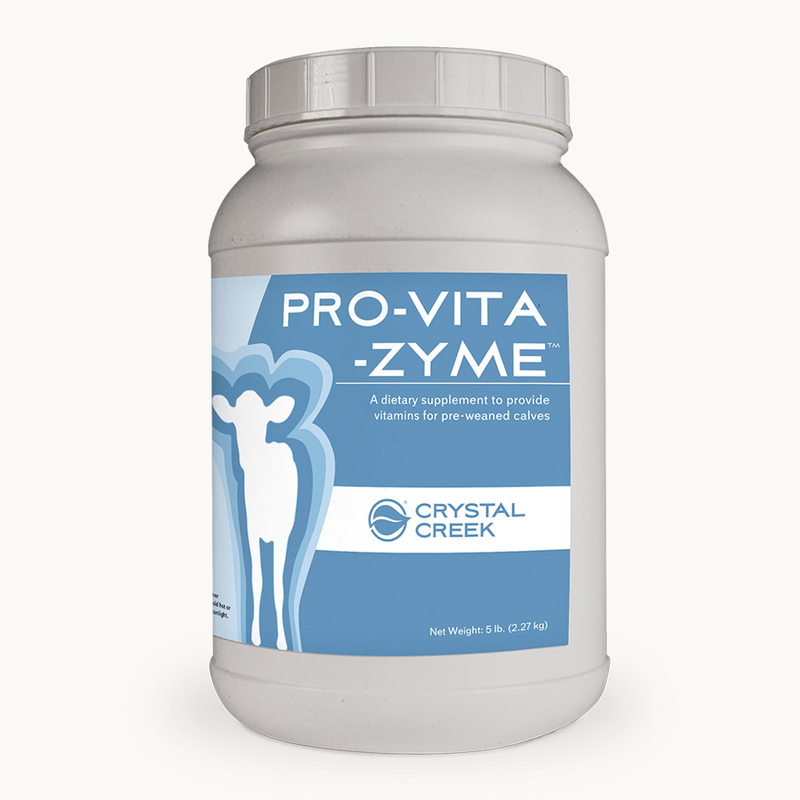 Pro-Vita-Zyme™ provides a broad range of balanced nutrients to help calves perform at their very best. Feed Pro-Vita-Zyme™ to help calves get the most from their diet. Vitamin A (Min) 150,000 IU/lb. Riboflavin (Min.) 50 mg/lb. Vitamin D3 (Min.) 15,000 IU/lb. Protease (Min.) 2,200 HUT/lb. Vitamin E (Min.) 1,500 IU/lb. Amylase (Min.) 2,200 BAU/lb. Vitamin C (Min.) 1,500 mg/lb. Lipase (Min.) 3,900 LU/lb. d-Pantothenic Acid 109 mg/lb. Live Yeast Cell Count (Min.) 320 Billion CFU/lb. Enterococcus faecium (Min.) 95 Billion CFU/lb. One level scoop (enclosed) is 20 grams. 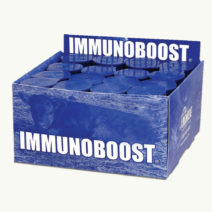 Low to Moderate Need: One level scoop per 10 calves per feeding. This will supply 400 million CFUs of lactic acid producing bacteria per calf per feeding or 800 million CFUs per calf per day. High Need: Two level scoops per 10 calves per feeding. 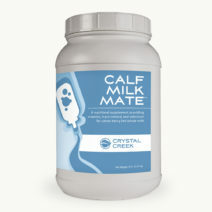 This will supply 800 million CFUs per calf per feeding, or 1.6 billion CFUs per calf per day. 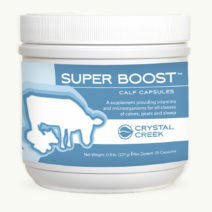 There are 1,135 calf doses per 5 lb. jar.